1) It no longer makes you happy- People change and sometimes your may find that you no longer enjoy your major. I was totally miserable when I majored in Media. Literally every study session and class was accompanied by me crying. Dropping Media was the best thing I ever did. 2) Your major isn’t necessary for the field that you wish to go into- I was originally majoring in Media and English. When it became obvious that Media wasn’t going anywhere (there was a lack of funding that made being a Media student very difficult), I chose to simply to continue with English since usually experience instead of qualifications is required in Media. Or so claimed an article I read online. 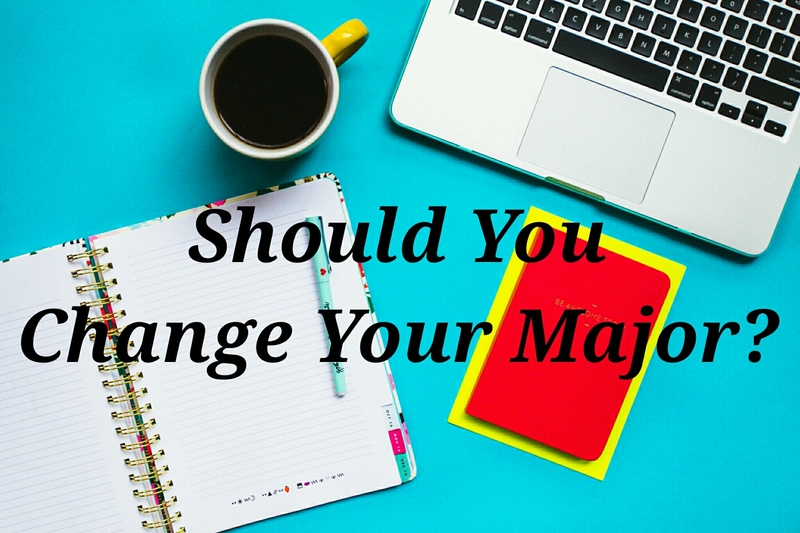 3) You want to change your major- Sometimes the reason behind you changing your major is simply that you want to change your major. Do it. It’s your life and you’re the one who’s going to be stressing over the assignments for your major. 1) You’re having trouble with just one class- if you’re having trouble with a class, speak to your tutor or lecturer before making any final decisions. I went through a really difficult semester in English and considered dropping the class. What I didn’t know was that everyone else was also struggling with the module. Our tutor sat us down and had one-to-one sessions where he helped us through our workload. With his help we passed the module and it’s now just a distant memory. 2) You’re changing for someone else- I’ve had people judge me for majoring in English throughout my entire college career. It pisses me off but at the end of the day my major makes me happy. Don’t change your major if you’re simply trying to impress someone else. Like I mentioned before you’re the one who would have to struggle with the assignments and tests. 3) You don’t know what you want to do- This is just a personal preference for me but I don’t think you should change your major if you’re completely uncertain about your future. You may change majors over and over again and this may come with a fee. However you WILL change as a person and therefore your career choices will change so this is up to you. Did you change your major or did you always know what you wanted to study? I’d love to know below.